In Los Angeles, City Council members are giving serious consideration to severing Sister City ties with St. Petersburg, Russia. Last year, Venice and Milan broke off their relationships with the city. In all of those cases, the actions were a direct response to Russia's anti-LGBT laws, which have been widely characterized as prohibiting the dissemination of "homosexual propaganda" to minors. The laws appear to target public displays of support for LGBT rights, including protests and pride marches, say many news articles. And other communities with Russian sister cities are being pressured to follow suit and sever ties. Rochester has its own Russian sister city, Velikiy Novgorod, a community of 218,000 located northwest of Moscow and southeast of St. Petersburg. But in Rochester, critics of Russia's laws want a different approach toward Novgorod, which hasn't passed anti-LGBT laws. 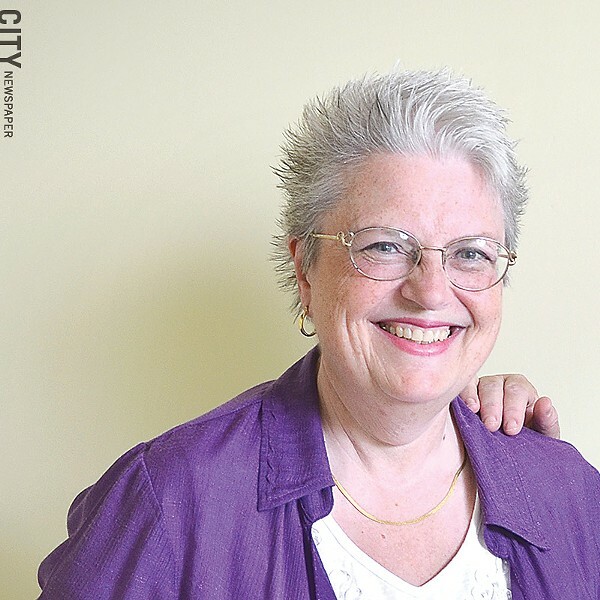 "I don't think we want to sever ties," says Anne Tischer, a local LGBT activist who has reached out to Rochester City Council members Matt Haag and Carolee Conklin on this issue. "I think we want to call on them to be allies." That approach is more in line with the mission of the Sister Cities program, which focuses on communication and engagement on a people-to-people basis, says Conklin, who is president of International Sister Cities of Rochester. Sister Cities is, in simple terms, international citizen diplomacy. "The whole point of Sister Cities is leading by example," Conklin says. Conklin says that using political or legal litmus tests would mean an end to "probably half of our Sister Cities." Rochester's 12 Sister Cities include Xianyang, China; Rehovot, Israel; and Bamako, Mali. Sister Cities International, the national nonprofit parent group, has a policy against cancelling Sister Cities relationships over what it calls political disputes. "Suspending sister city relationships closes a channel of communication through which meaningful dialogue may be held," the policy says. And the Rochester-Novgorod relationship has been particularly active and productive. Informally, the relationship started in the 1980's, when Cold War tensions still defined US and Soviet Union interactions. In 1990, the two communities officially became sister cities. When the Soviet Union collapsed, Rochester police officers and local lawyers and judges helped Novgorod rebuild its police and legal system. Rochesterians are currently helping the Novgorod community address issues around child welfare, family services, substance abuse prevention, women's equality and economic parity, elder services, and education, says Paul Caccamise, chair of the Novgorod Sister Cities committee. Each summer, the local Sister Cities committee sends two English teachers over to lead seminars on language and American history and culture. And every other year it brings over a Novgorod teacher to visit Rochester schools. To sever ties with the community would be to leave lasting partnerships behind, Caccamise says. He says he plans to discuss Russia's anti-LGBT laws with the local Novgorod committee when it meets this month. The committee could reach out to liaisons in Novgorod to express deep concern with the national anti-LGBT laws, stress that they create a hostile environment, and offer to talk about US and local experiences with LGBT rights, he says. "Severing ties would really be abandoning the LGBT citizens of Novgorod at a time when they most need our support," Caccamise says. The Rochester-Novgorod relationship has been particularly active and productive. Informally, the relationship started in the 1980's, when Cold War tensions still defined US and Soviet Union interactions. In 1990, the two communities officially became sister cities.